South Western Railway’s Island Line Class 483 electric multiple units then 80 years old this year, making them the oldest passenger trains still in regular mainline operation in Britain. Built in 1938 by Metro Cammell and overhauled at Eastleigh Works in 1989 – 1992, the trains initially worked for 50 years on the London Ungerdround until they were replaced with newer tube trains. 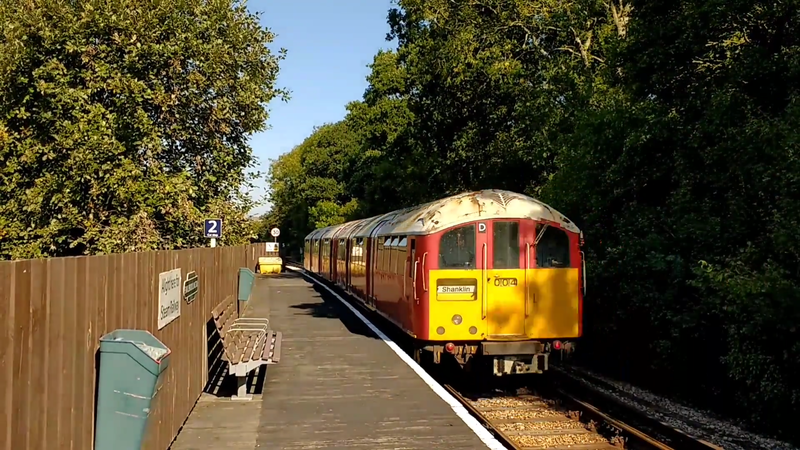 Today, the Class 483 trains work regular services between Ryde Pier Head and Shanklin. 5 units remain operational with a small number stored for parts. Despite their age, South Western Railway do not plan to replace them any time soon.